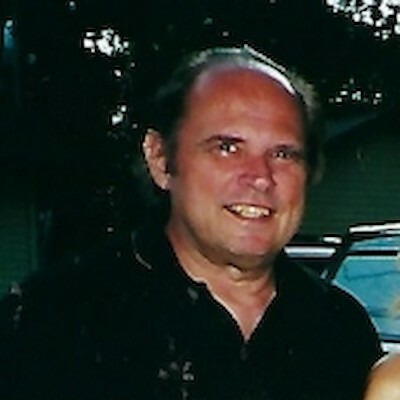 John Andrew Rommel, age 75, of Frederic, Wisconsin passed away April 7th, 2019 at his home. John was born March 21, 1944 in Minneapolis, MN to Myron and Viola (Krein) Rommel. He was united in marriage to Sandra Anderson on October 19, 1972 at Salem Lutheran Church in Minneapolis, MN. In his early years of marriage, John and Sandy enjoyed downhill skiing and snowmobiling and played cards in several card clubs. John loved football, especially the Minnesota Vikings. He was an avid deer hunter, both with bow and arrow and rifle. When his favorite hunting land came up for sale, they purchased 40 acres and John built their home where they resided until his death. John worked as a building maintenance supervisor and worked on building construction jobs in Minneapolis for several years before starting his own business as Rommel Construction, Inc. He then contracted with PBEC, a local electric cooperative, to do their right-of-way clearing of power lines. During that time, he also worked for two surrounding townships maintaining their roads. After several years with the power company, Aspen Tree Service bought his equipment and he worked for them clearing power lines until his health forced early retirement around 2001. He was preceded in death by his parents, Myron and Viola Rommel; sister, Patricia Van Patten; brother-in-law, Charles Curry; and great-nephew, Pierre Schreyer. John is survived by his loving wife, Sandy of 46 years; children, Christopher Rommel of Eau Claire, WI, Keri (Bryan) Jensen of Shell Lake, WI, Nicholas (Crystal) Rommel of Luck, WI; four grandchildren, Zachary and Aaden Jensen, and Kaylyn and Morgyn Rommel; sister, Charlotte Curry of Key Largo, Florida; sister-in-law and brother-in-law, Cheryl and Gary Parkins of Danbury, WI; brother-in-law, Ken Van Patten of Punta Gorda, Florida; nieces, nephews, cousins and friends. Per the family's wishes, no formal service will be held at this time. There will be a gathering to honor John and pay respects to his family at Rowe Funeral Home in Frederic, WI on Friday, April 12th from 5 to 7:00 p.m.